With Halloween just around the corner is time to start getting ready. 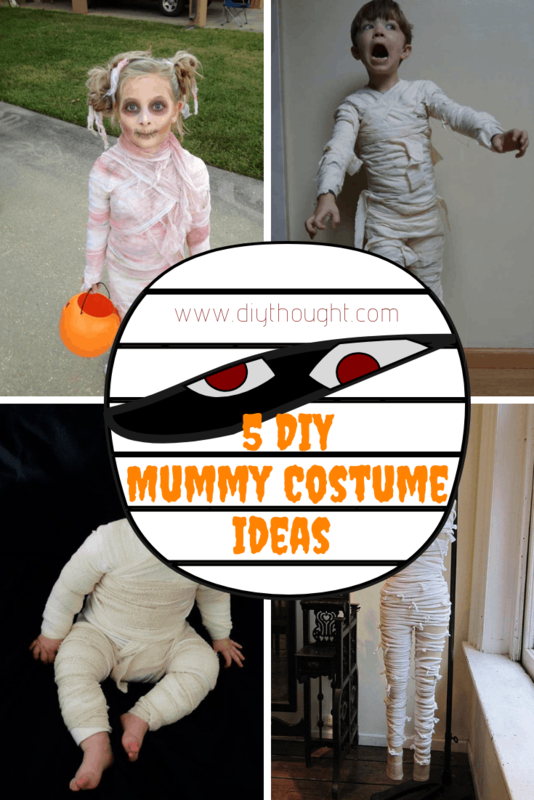 If you need some inspiration or ideas for mummy costumes, then this list is just the thing you need. 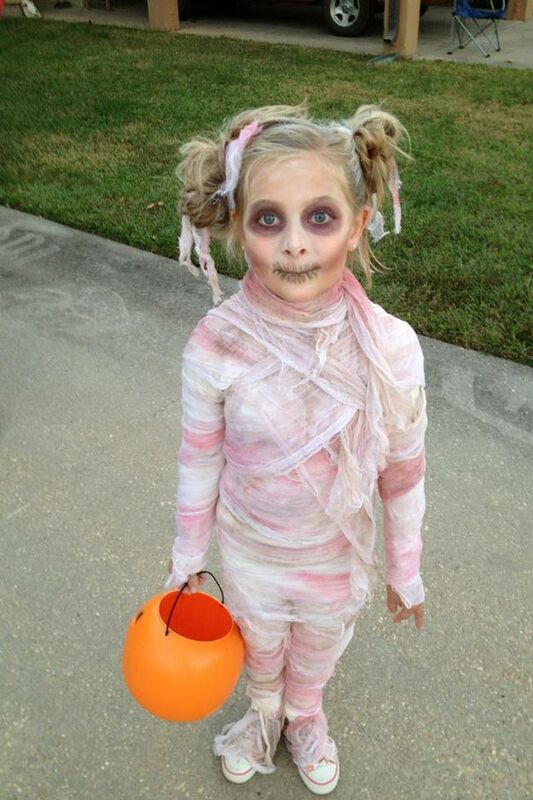 I’ve got it all: kid mummies, scary mummies, even mommy mummies. 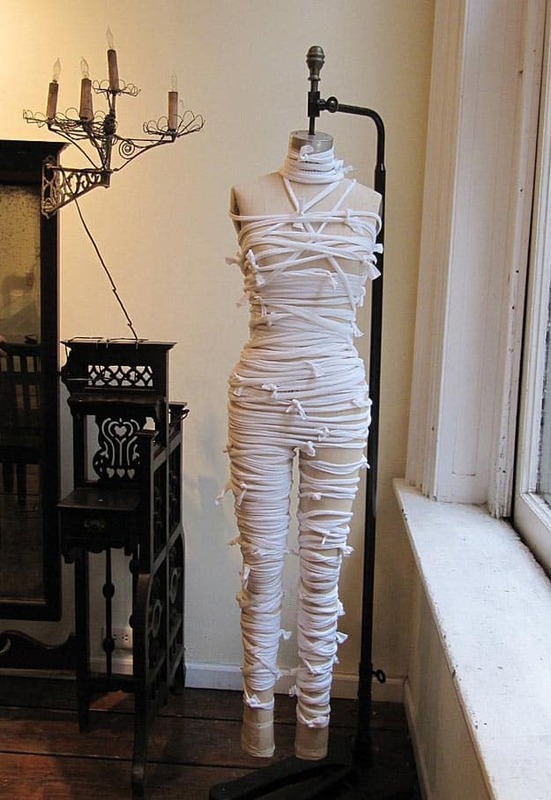 Which mummy costume will you make? 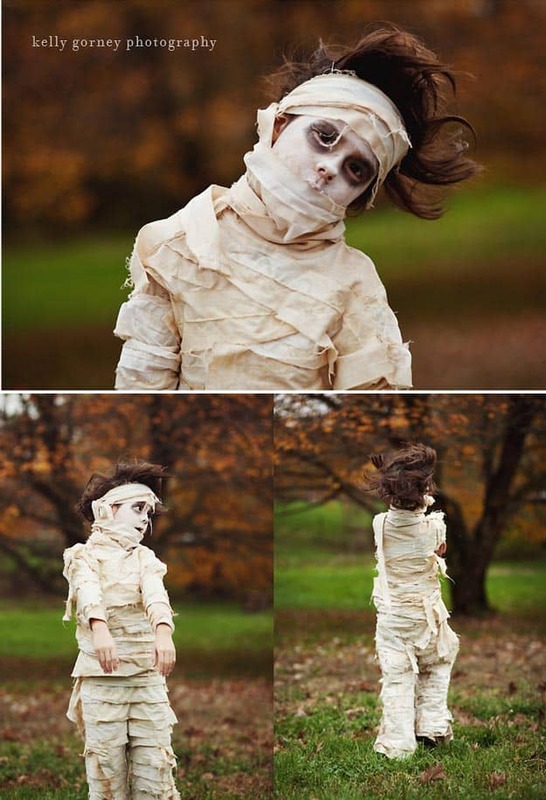 Did you know you can make a mummy costume DIY out of tea bags? Not the actual bags though. The tea will stain the cloth and give them that ancient look. 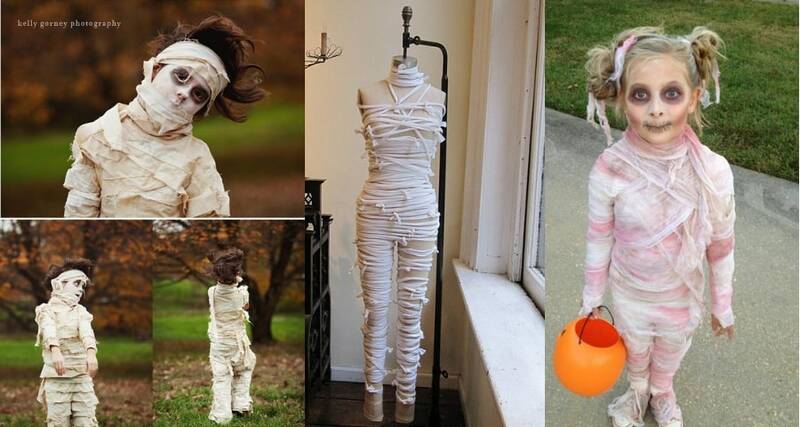 Want to dress your little girl as a mummy? Here’s a great inspiration that will still make her look adorable. Don’t you think pink mummies look so much better than the regular ones? 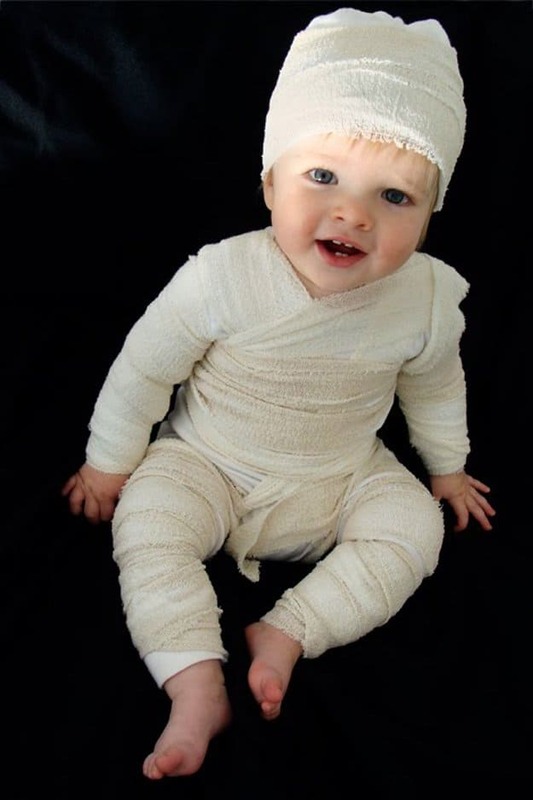 Grab a bodysuit and some bandages to make the cutest DIY mummy costume ever. It’s a baby mummy ready to kill you off with loads and loads of cuteness. You’ll just need about $25 to make this DIY costume. As you can see, mummies don’t necessarily have to have their faces covered too. Some loose pieces of fabric will complete the look. Let’s start wrapping. Here’s a great way to repurpose an old t-shirt. It may require a lot of old white t-shirts so be sure to save it up for future use. Get the instructions here and start cutting those pieces.